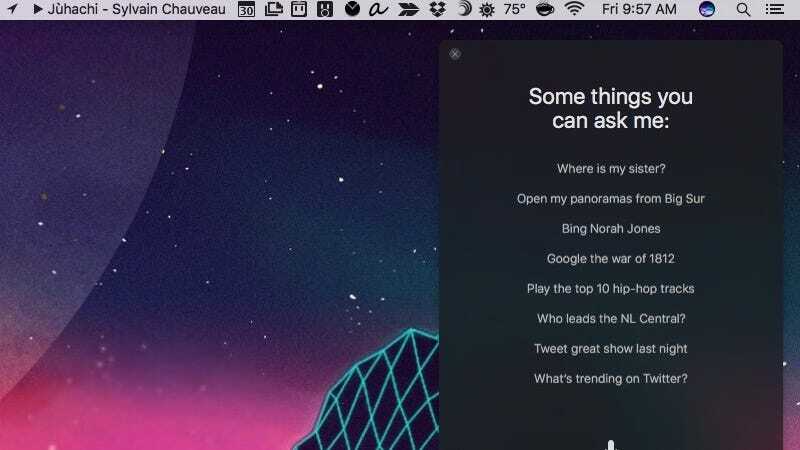 Siri is the big new feature in macOS Sierra and while you can ask it just about anything you can ask it on iOS, it does have a few tricks of its own. OS X Daily put together a list of some of those. Some of this stuff is pretty useful, like quickly grabbing your serial number or going directly to settings in System Preferences, especially for less savvy computer users. There’s tons more, and OS X Daily has a big list of a bunch of other questions you can ask.